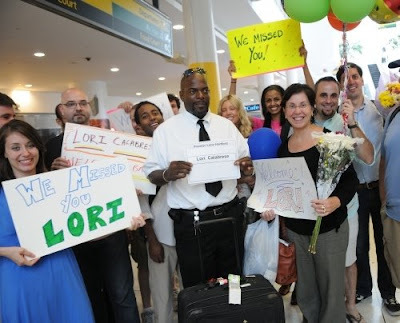 These guys set up a welcome home group at JFK and surprised a few strangers. these guys are great. there's nothing cynical about their stuff. That's great. I might set up a St Luke's good mood flash mob. Anyone interested? !